It’s no secret. I love and prefer a colorful coat, the brighter the better. To read more about that, see How to Choose the Right Color for Your Winter Coat. And, to see some of my current favorite colorful coats, check out Colorful, Mood-Elevating Coats for the Cold Season. Temperatures in St. Louis took a major dive over the weekend. We woke up to freezing temps, y’all. 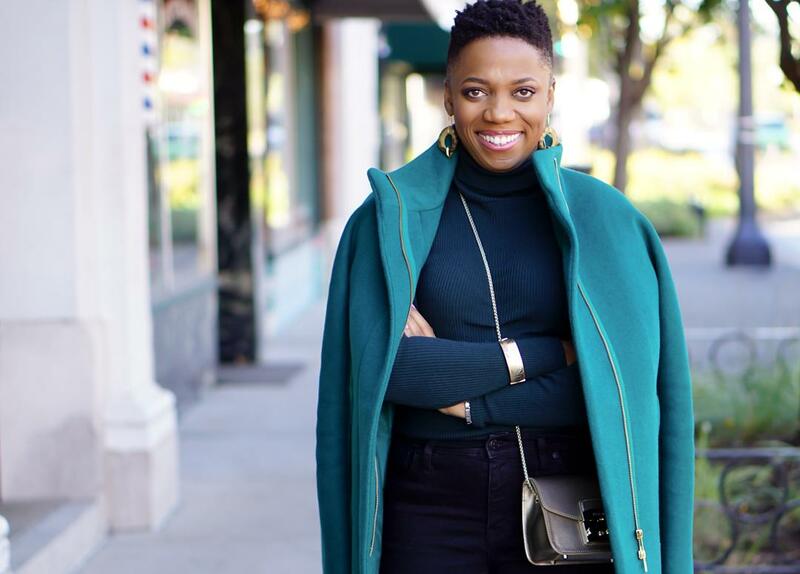 I embraced the colder weather as an opportunity to start experimenting with my winter style. So, out came my jade city coat. 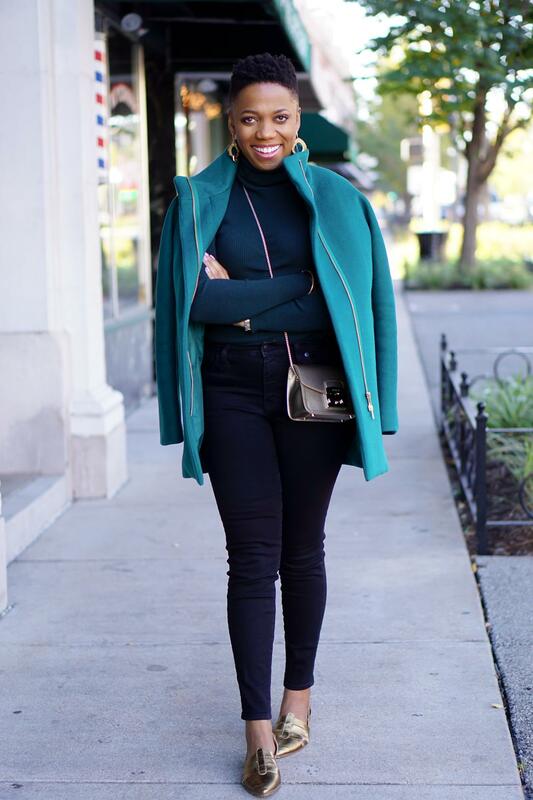 This coat, available in 7 colors and now on sale, is undoubtedly one of my favorites from last year. It’s J.Crew Factory’s version of J.Crew’s popular cocoon coat. For Sunday brunch, I made my coat a part of the outfit by pairing it with a sweater in the same color family. The result? A cool monochrome look. I completed the overall outfit with splashes of gold courtesy of my crossbody bag and oxfords.